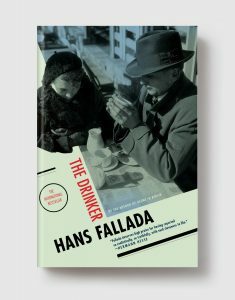 This astonishing, autobiographical tour de force was written by Hans Fallada in an encrypted notebook while he was incarcerated in a Nazi insane asylum. Discovered after his death, it tells the tale—often fierce, often poignant, often extremely funny—of a small businessman losing control as he fights valiantly to blot out an increasingly oppressive society. In a brilliant translation by Charlotte and A.L. Lloyd, it is presented here with an afterword by John Willett that details the life and career of the once internationally acclaimed Hans Fallada, and his fate under the Nazis—which brings out the horror of the events behind the book. Melville House HybridBooks combine print and digital media into an enhanced reading experience by including with each title additional curated material called Illuminations — maps, photographs, illustrations, and further writing about the author and the book. The Melville House Illuminations are free with the purchase of any title in the HybridBook series, no matter the format. Purchasers of the print version can obtain the Illuminations for a given title simply by scanning the QR code found in the back of each book, or by following the url also given in the back of the print book, then downloading the Illumination in whatever format works best for you. Purchasers of the digital version receive the appropriate Illuminations automatically as part of the ebook edition. 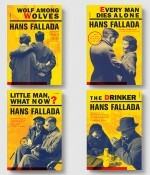 HANS FALLADA was the pen name of German author Rudolph Ditzen, whose books were bestsellers in the US and UK prior to World War II and were even made into Hollywood movies. But during the war he refused to join the Nazi Party, and found himself cast into a Nazi insane asylum. He died soon after the war’s end, but not before writing Every Man Dies Alone -in a feverish 24 days- based upon the Gestapo file of an actual case given to him by a friend. He did not live to see its publication. NY Times calls new Melville House book "A signal literary event of 2009"
The story behind "one of the most extraordinarily ambitious literary resurrections"
Translated fiction on national television!